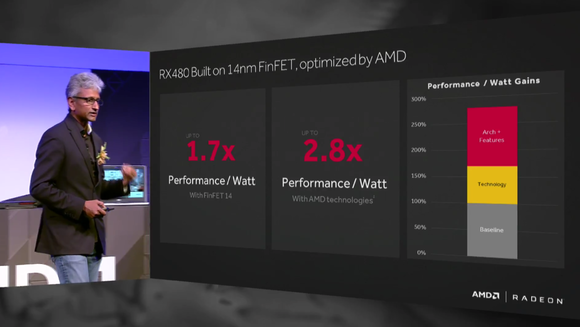 The move to 14nm FinFET technology will let AMD's new $200 Radeon tango with the GTX 980 and Radeon R9 390X. 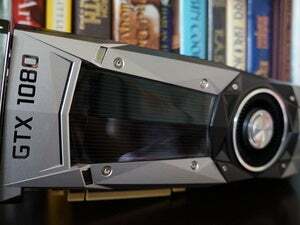 The next-generation graphics card war is officially on—though it’s already shaping up very differently than previous versions. While Nvidia kicked things off with the overwhelming firepower of the enthusiast-only $600 GeForce GTX 1080 and $380 GTX 1070, AMD’s attacking the mainstream instead. In a livestream from Computex in Taipei, AMD announced that the Radeon RX 480 will be the first graphics card based on its forthcoming Polaris graphics processors. 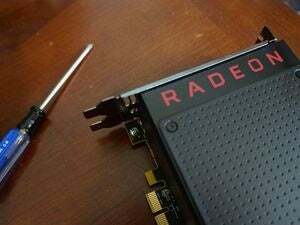 And get this: The Radeon RX 480 stands ready to deliver performance equivalent to what today’s $500 graphics cards offer, as first reported in the Wall Street Journal earlier today. That’s roughly in line with the Radeon R9 390X, GeForce GTX 980, or air-cooled Radeon Fury. But here’s the real bombshell: The Radeon RX 480 will cost only $200 when it goes on sale on June 29. Assuming that AMD’s performance claims prove accurate in real-world gaming scenarios, the massive performance leap stems from the adoption of 14nm FinFET technology in Polaris, a leap forward by two full technological generations for graphics processors. Both AMD and Nvidia (which uses 16nm FinFET tech in its new Pascal GPUs) had languished at 28nm since late 2011, after 20nm technology proved to be a bust for graphics cards. As you can see by the chart above, the Radeon RX 480 will be available with both 4GB and 8GB memory configurations, with data sent over a 256-bit bus. One interesting tidbit that jumps out immediately is the power consumption: 150 watts over a single 6-pin connector is far, far, far, far less energy than the ridonkulously power-hungry R9 390X demands, but it’s identical to the power requirements for the GTX 1070, which delivers higher Titan X-esque levels of power. 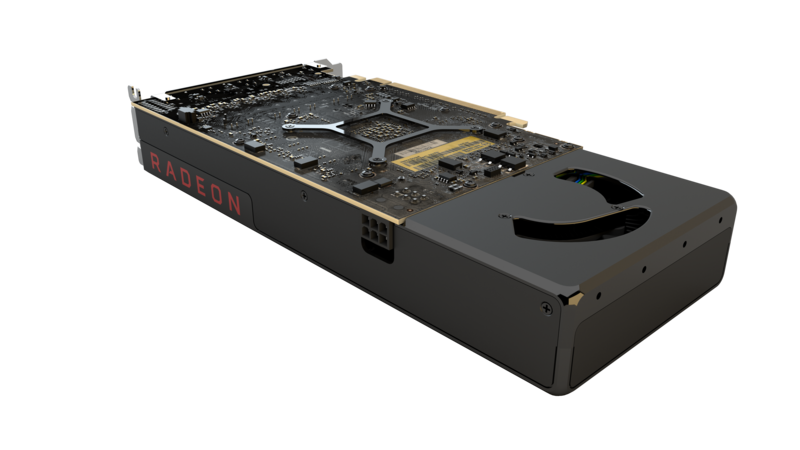 The exterior of the Radeon RX 480—at least the reference version—mimics the slick, attractive design found in AMD’s own Radeon Nano and Fury X, and that’s nothing but a good thing. The Radeon RX 480’s power efficiency. Dragging previously high-end performance down to an affordable $200 price point will let AMD dominate for the crucial mainstream graphics market until Nvidia releases a GTX 1060. Its rock-bottom price point could also help AMD compete well against the GTX 1080, as a pair of Radeon RX 480s running in CrossFire cost significantly less than Nvidia’s flagship, but potentially deliver similar performance...assuming a given title supports multi-GPU setups well, at least. The comparison below stacks the deck for AMD a bit, as Ashes of the Singularity is a card that heavily favors AMD’s cards in DirectX 12, but it still serves to drive home what’s possible with a pair of Radeon RX 480s. The Radeon RX 480 will also expand the total overall market for virtual reality—a key new battleground for computing. AMD’s been beating the drum loudly with its LiquidVR development kit initiative and the Radeon Pro Duo, a dual-GPU beast of a graphics card devoted to VR game development. 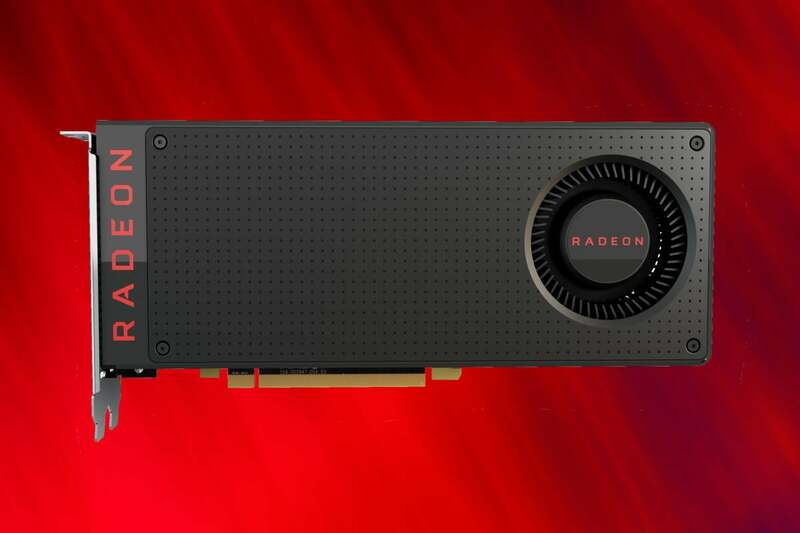 Let’s say it again, because it’s borderline mind-boggling: The first Polaris-based Radeon graphics card will cost only $200, and it will deliver roughly GTX 980-level performance according to AMD. That’s crazy. AMD will sell Radeon RX 480s by the boatload at least until a GTX 1060 appears—and maybe even after. If the performance claims hold true, that $200 price point seems awfully competitive compared to Nvidia’s Pascal-based graphics cards, going by the GTX 1070’s Titan X-like power and $380 cost. Beyond the immediate excitement of this particular announcement, what the future holds and what this means for every other graphics card out there is a real question. The thought of a $200 Radeon with performance comparable to a Fury is mighty tantalizing, and the price gulf between this new card and the $380 GTX 1070 is more of a chasm. Still, the combination of those two next-generation graphics cards’ entering the market basically renders every Radeon R300 and Fury card over $150 utterly irrelevant. There is zero reason to buy any Radeon graphics card but the new one for gaming right now, unless you need the Fury X or Nano’s unique form factor for a specialty build. Everything else in the Radeon lineup is simply too high-priced compared to either the new Radeon or the GTX 1070. The same can be said about everything Nvidia sells in the low- to mid-range: There’s zero reason to buy a GTX 950 or 960 right now with the $200 Radeon looming. But it’s easy to envision Nvidia rushing out a GTX 1060 or GTX 1060 Ti to combat the Radeon RX 480, while AMD’s GPU roadmap indicates that its Fury successors—the Vega family of GPUs, with second-generation high-bandwidth memory—won’t be out until around the end of the year. That leaves a tremendous amount of uncertainty in the graphics world. Will AMD indeed surrender the new high-end to Nvidia for months into the future? Will Nvidia be able to get a GTX 1060 out the door in short order and battle the new Radeon? Will future AMD Polaris GPUs be as aggressively priced as this initial one, potentially forcing Nvidia to drive down prices of the GTX 1070 and 1080 to match? It’s all up in the air right now. 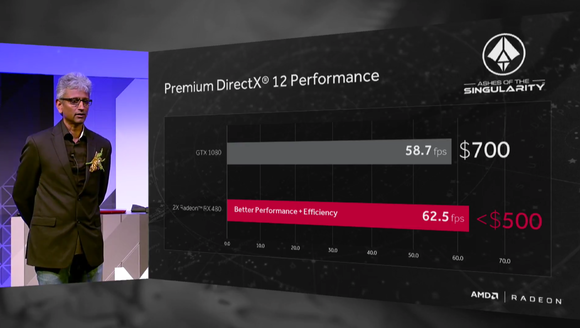 One thing is certain: The release of AMD’s first Polaris GPU, with a compelling price point and jaw-dropping performance, is nothing but a good thing for the PC gaming masses. The next-gen graphics card war is on, and it’s an exciting time to be a PC gamer. Editor’s note: This article was originally based on basic details from a Wall Street Journal report, but was updated with official info from AMD after the Radeon RX 480’s reveal.